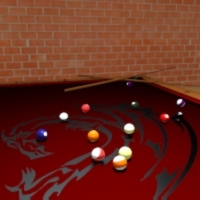 In this two part tutorial, you'll learn how to model and texture a pool table in 3D Studio Max using real-world scale. To help speed up the process, you'll use a variety of Max's built in modifiers and tools to achieve a realistic look. In this tutorial you will learn a work flow on how to create a pool table using real scale values to give a realistic impression. In this tutorial we'll be taking a look at how we can use real-world values to create a realistic pool table model in 3dsMax.